In roughly just over half a decade, this little island nation has moved from a small unstable town plagued by guerrilla war and enforced curfews, to become a leader amongst modern cities with all the economic, social and financial power that many other countries and cities could only hope to attain and could certainly learn from. Singapore has achieved what I call an ‘Agile Operating Model’. WHAT IS AN “AGILE OPERATING MODEL”? 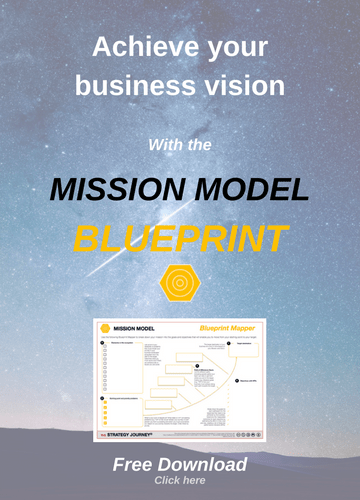 In my previous blog How to design a Target Operating Model that Delivers, I outlined my definition of what the OPERATING MODEL is and how businesses can achieve their desired TARGET OPERATING MODEL. I describe the Operating Model as being like the engine of a business, similar to the engine of a car, as it is what keeps everything running. It is the engine or the heart of a business or organisation, responsible for pumping all the blood or activities that not only keeps the business or organisation going but helps it to enable value to be captured and delivered, while also adapting to its ever changing ecosystem. In its living or current state, the operating model is responsible for the continuous interactions with customers, the activities by all the resources including people, processes, data and technology in the business, and continuously learning. It is through all of these activities, that the Operating Model captures and delivers value. When an operating model has the capabilities to continuously transform with speed to adapt to changing conditions, it is an Agile Operating Model. An agile operating model provides the best conditions for INNOVATION and enables an organisation to have ‘innovation as a culture’ in its DNA. AND SINGAPORE HAS ALL OF THESE CHARACTERISTICS IN ABUNDANCE. Singapore is a country that operates like a business and a very agile and successful one at that. What are the secrets to the success of Singapore PLC? (Part 1) How has Singapore managed to develop itself into an Agile Operating Model with the ability, or rather agility, to transform at speeds which most other countries, and many organisations, can only dream about? (Part 2) And what can this tell us about the Strategy Journey that Singapore has taken and where this might lead in the future? In this first blog, part of a series of four, I will discuss Part 1, What makes Singapore an Agile Operating Model with Innovation in its culture? To be competitive, a business or organisation needs to cultivate and attract top talent both in-house and from abroad. Since its independence, the leaders of Singapore, led by the late Prime Minister and founder Lee Kwan Yew (who was and still is referred to as the CEO of Singapore), knew that Singapore’s most abundant and possibly only resource is PEOPLE. After all, you can’t really use limited land on a small tropical island to become a farming powerhouse, can you? The leadership team has spent the past 50 years investing in this resource to turn it into an asset for the country. They’ve worked on a world-class education system that is geared towards producing future leaders across industries from architecture, technology, science and medicine – all of which contribute to fostering an environment where young people see how they can be part of Singapore’s success. Singapore’s original education system may have been modelled on the UK of course, being a former British colony, but just look at what is has done since. The SkillFuture grant provides an $500 grant for all adults over 25 to invest in their own continued learning to improve their skills and capabilities. It doesn’t expire and there is a message that there are more grants to come. If you read between the lines, you can probably guess the psychology behind the whole initiative – yes, Singapore is working on building and embedding a Growth Mindset in its people and culture. SkillFuture is just one of many investments in Singapore. The country has always recognised Talent to the extent that civil servants and government officials are paid well, in order to attract top people to posts which benefit the whole of society. As well as developing top talent in-house, Singapore has been very smart to bring in the right talent from abroad to create a healthy mix. It has invested heavily to encourage global organisations, including leaders in the latest technologies, to do business in Singapore. Over the years, Singapore’s taxation policies remain one of the most attractive in the world. They are set fairly simply at 15%, with specific credits to motivate and encourage the right behaviour from local and foreign individuals and businesses alike. As an organisation, Singapore has mastered the Human Resources management or HR function. Singapore’s education focus is part of its overalls strategy to develop a truly Agile Operating Model by developing Innovation in its culture and DNA and you can probably see that the government is showing the behaviours of a typical VC or Incubator. As a country and as a business Singapore is extremely good at changing and transforming itself, at reinventing and innovating itself to be ahead of the times. The World Bank ranks it as the easiest place in the world to do business. Singapore has fostered an environment where innovation can thrive. Recently it has worked hard to become a large centre for startups outside of Silicon Valley. It currently boasts over 42,000 startups, and numerous incubators. Singapore’s Economic Development Board, founded around the time of independence, originally focused on what was needed for Singapore at that time. The focus was to create new jobs, attract multinational companies and stimulate the creation of export-oriented industries. Over the years its focus has changed and it is now led by a ‘Home Strategy’ establishing Singapore as a home for business, innovation and talent. This development, driven by a clear vision of what Singapore could be, has seen it establish itself as a centre for innovative businesses now and in the future. Perhaps one of the key signs that Singapore knows the importance of innovation is that the government is using new technology itself. The countries Risk Assessment and Horizon Scanning system is a big data tool. It takes massive amounts of economic data and uses machine learning to try and detect any economic uncertainty before it happens. Aaron Maniam, Director of Industry Division, Ministry of Trade and Industry, puts this tech as the reason Singapore weathered the credit crunch so well. ‘One of the reasons why we were able to do that is because we made sure firms did not lay off their workers.’ They saw what was coming and were one of the first Asian countries to go into recession, but were able to use this forecasting to create a stimulus package to keep employees earning and move out of recession quickly. As well as building a strong foundation through education and human resource management to foster innovation, the Ministry has been very smart in building the right capabilities and all the infrastructure to support continuous growth. Singapore has possibly one of the most efficient and effective public transport systems in the world, the MRT (Mass Rapid Transit). The latest in telecommunications technologies providing high speed internet at very reasonable prices so that it is available to almost everyone and anyone has been around for decades, with Singapore being one of the earliest adopters in Asia of mobile and digital. I remembered the time when many tourists, myself included, travelled to Singapore with many doing international stopovers for the sole reason to be able to access and purchase the latest gadgets from mobile phones to digital cameras at the most competitive prices. Singapore has a built a global reputation as one of the most high-tech cities in the world, where some of the most talented scientists, researchers, and technologies live. The country is always almost ahead of the curve when it comes to business trends and technology. With their initial focus on manufacturing at independence, Singapore has since added tech and scientific innovation to this mix. The government has encouraged innovation in every way. In January 2016, Prime Minister Lee Hsien Loong unveiled a S$19 billion plan to support Singapore’s R&D efforts over the next five years. It’s clear Singapore isn’t planning to wind down its manufacturing industry, but it is now positioning itself as a ‘one stop shop’ for businesses looking to create both technical and physical products. Many global businesses from your tech giants such as Google and Facebook, FMCG giants like Proctor and Gamble and Unilever as well as major banking and financial institutions have relocated various Asian based headquarters and even Global Headquarters to Singapore for several decades. Singapore has placed itself strategically as a global hub forming a key part of any global organisation’s location strategy. The country is also poised to become a leader in Artificial Intelligence technologies perhaps helping Singapore fulfil its ambition to become the Silicon Valley of Asia. Key initiatives includes the government’s S$45m a year investment in new defence tech labs for robotics, AI as well as local Singapore hospitals being one of the first in the world to be fully kitted with AI-led wearables as part of patient care facilities. Because it is a living Agile Operating Model, Singapore has big plans that look way into the future. With a master plan to lead it all the way to 2050, Singapore has a clear vision of what it wants to achieve and how it is going to get there. How Singapore has been navigating through the five stages of THE STRATEGY JOURNEY, moving from Motivation and Leadership, with a strong strategic mission and vision, through continuously evolving business models that create value, while for ever transforming itself to adapt and to be just that step head of a rapidly changing world? 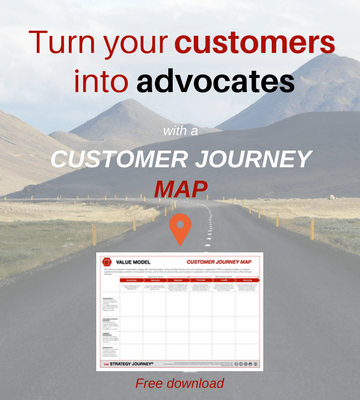 And, how Singapore and its business model as a country thrives on understanding the Customer Journey? Want to learn how to develop an Agile Operating Model for your business or in your organisation, that follows in the footsteps of Singapore’s success. You too can develop the skills and capabilities to become a future leader in driving an organisation with an Agile Operating Model.